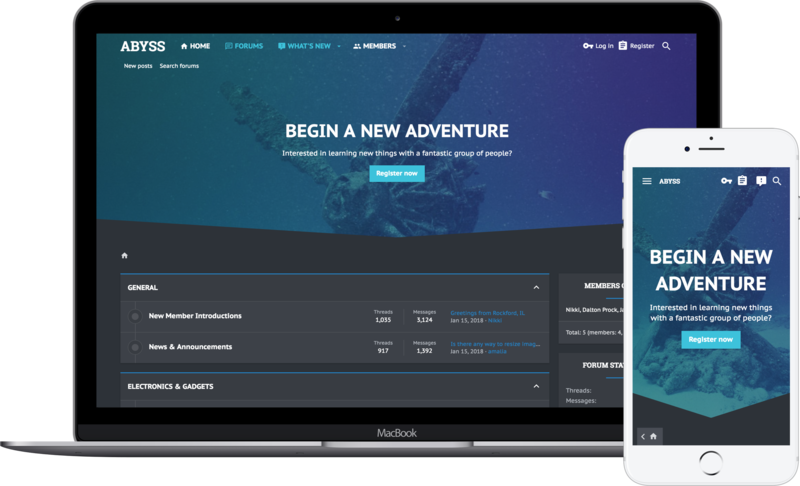 Abyss brings it’s lighter look which suitable for any forum along with many different abilities that allow you to switch out the background image, a node grid management system, and so much more which was offered in it’s XenForo 1 version. As a thank you to all those who have stuck by UI.X, those with an active license receive 50% off when upgrading to UI.X2. Just use coupon code UpgradeAbyss. If you have ever purchased a UI.X product based off of XenForo 1.x, we have a 20% even if its inactive, just use coupon code UpgradeAbyss20. Looking for Xenith for XenForo 1? You can find it by navigating here.